Note: Move your downloaded data to folder /Android/obb/com.budgestudios.googleplay.barbiedreamhouse. 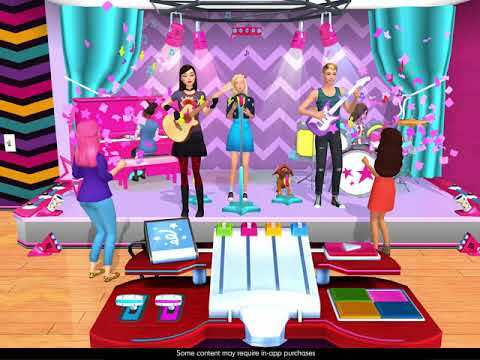 Create your very own Barbie Dreamhouse experience! You can design every room. Meet my BFFs and puppies! Join us for a bunch of fun activities: baking, dancing or epic pool parties! Plus, dress me and my friends up in fashion-forward looks to get picture ready! Follow us on exciting adventures in the... see more Create your very own Barbie Dreamhouse experience! You can design every room. Meet my BFFs and puppies! Join us for a bunch of fun activities: baking, dancing or epic pool parties! Plus, dress me and my friends up in fashion-forward looks to get picture ready! Follow us on exciting adventures in the Dreamhouse where anything is possible!